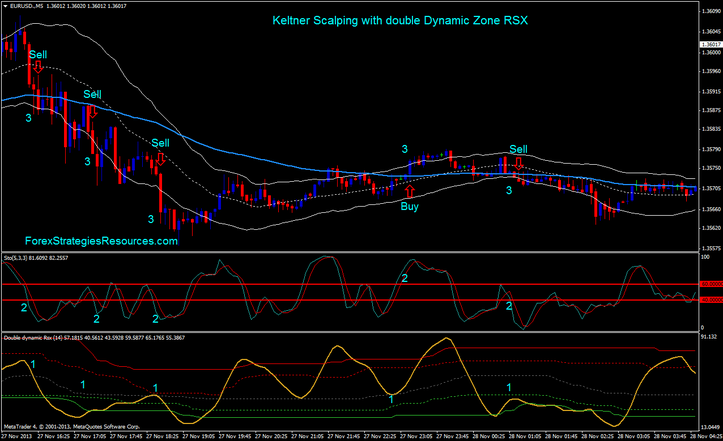 Keltner Scalping with double Dynamic Zone RSX, is a Trend-momentum Scalping System. The entry rules for both methods are identical. For the scalping method I enter my target exit order immediately. Trades only in direction of the trend. The trend is determined by moving average 89 period. 1. Price is above or testing the 89 period moving average on the 5 minute chart. 4. Double Dynamic zone RSX crosses upward the lower band or above the green dot line. 5. Price is below or testing the 89 period moving average on the 5 minute chart. 8. 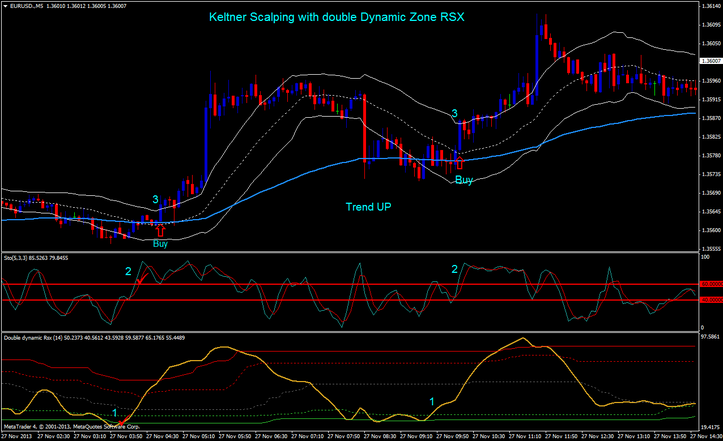 Double Dynamic zone RSX crosses downward the upperband or above the red dot line. Initial stop loss 3 pips below the middle band of the Keltner channel. Profit Target 7-12 pips depends by currency pair.